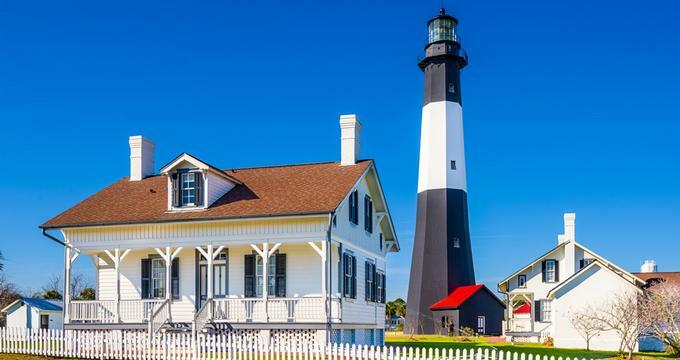 Long stretches of unspoiled sandy beaches, quaint wooden piers dotted with fishermen, shimmering salt marshes teeming with birds, and colorful fishing boats plying their daily catch - Tybee Island, GA, is the epitome of rustic coastal charm. Located just a short drive east of Savannah, Tybee Island is a scenic barrier island that offers a tranquil escape from the hustle and bustle of Georgia’s big cities. 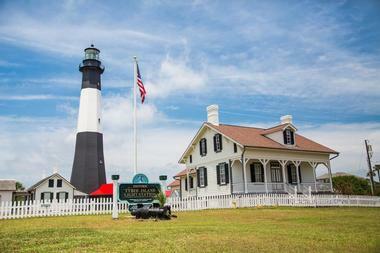 Here are the best things to do on Tybee Island, Georgia. 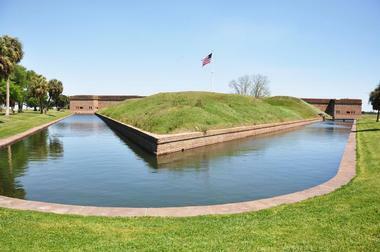 Fort Pulaski National Monument is a memorial dedicated to preserving Fort Pulaski, the site of the successful testing of a rifled cannon by the Union Army during the American Civil War in 1862. The cannon subsequently rendered brick fortifications obsolete, compelling the Confederate garrison to take cover inside Fort Pulaski and surrender. Located on Cockspur Island, the National Monument covers most of the Island, the fort, and the adjacent McQueens Island. Fort Pulaski National Monument offers a range of interesting and exciting activities year-round, including daily interpretive talks and programs that explore both the indoor and outdoor exhibits, guided tours, and historic weapons demonstrations. 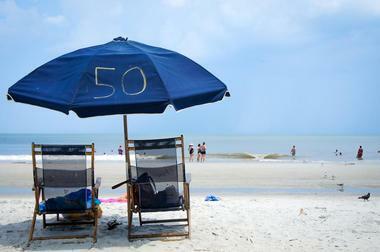 South Beach is one of Tybee Island’s busiest beaches, and with white sand, mild waves, and professional lifeguards on duty, it is perfect for sea swimmers and families with small children. Stretching southwards between 14th and 18th Street, South Beach not only offers a long stretch of sand for sunbathing but also boasts excellent fishing from the Tybee Pier & Pavilion, which is a great place to relax and people watch. A variety of restaurants, cafés, bars, and shops are just a step away from the beach while the Pavilion hosts an array of concerts and festivals throughout the year. Head past 19th Street for good surfing waves. One of seven surviving colonial-era lighthouse towers, Tybee Island Lighthouse is a light station located on the northeast end of Tybee Island next to the Savannah River entrance. The tower has a rich and interesting history, which is highlighted and explored at the Tybee Island Lighthouse Museum, a museum established in 1961 to interpret the rich history of Tybee Island. Located in Battery Garland of Fort Screven, the museum houses a variety of artifacts and exhibits covering more than five centuries of the island’s history. The museum’s exhibits and displays are spread across seven rooms in the Battery Garland. These rooms were once used to store smokeless gunpowder and projectiles and can be explored on guided tours, which are held every day except Tuesday. North Beach is located across the road from the Tybee Lighthouse and Fort Screven, and it is a fantastic place to kick back and relax with a book. The beach is scattered with seashells, which makes for excellent beachcombing and exploring while the nearby marshes are fantastic for bird and wildlife watching. North Beach boasts beautiful views of the Tybee Island Light Station and Museum, and birders will delight in the popular North Beach Bird Viewing Area. North Beach is surrounded by residential areas and a few restaurants – the North Beach Grill sits right on the beach and is ideal for light meals and sundowners. 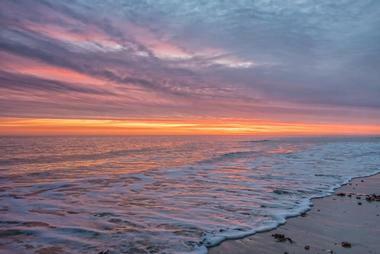 The beach has modern amenities, including restrooms and foot washing stations, as well as plenty of paid parking. Back River Beach is a small beach that stretches from the 18th Street South Jetty westwards to the Back River Fishing Pier and boasts beautiful views across the river to Little Tybee Island. The beach has little waves and a lovely sandy shoreline for sunbathing, strolling, and swimming. 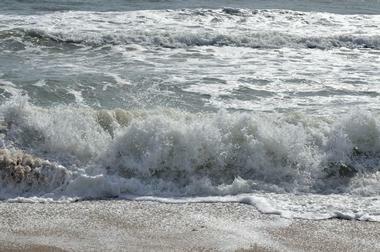 It is popular with locals, but accessing this beach is slightly more complicated that getting to others. Back River Beach and Pier also offers excellent fishing for anglers of all ages and is a favorite nesting spot for a variety of herons and egrets. The Tybee Island Marine Science Center is a community-based organization that aims to cultivate, inform, educate, and preserve coastal Georgia’s natural resources through education, conservation, and research. 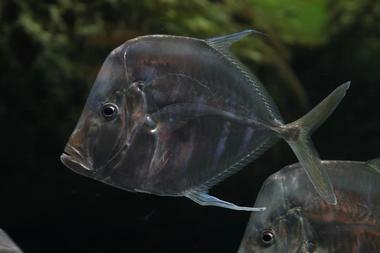 The center boasts a variety of exhibits that feature local species of fish, reptiles, and invertebrates from Georgia, as well as a plethora of information on marine mammals like sharks, sea turtles, and various shells from around the world. 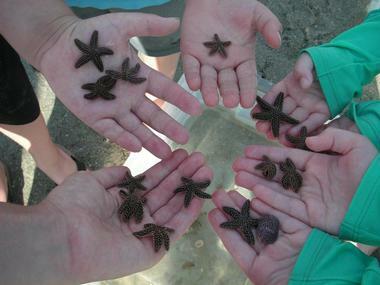 A tactile touch tank offers children the opportunity to feel different marine animals and plants, and several educational programs such as Walks, Talks and Treks are available for island visitors, school groups, girl and boy scouts. North Island Surf and Kayak is a small family-owned and operated business specializing in stand-up paddleboard (SUP), kayak, and surfboard rentals, lessons, and eco-tours. Explore the island’s many rivers, marshes, and inlets on a kayak and observe wildlife such as dolphins and otters, as well as a variety of wading and migratory birds. Enjoy a few surfing lessons from professional instructors or launch a standup paddleboard from the floating dock and paddle out to the Cockspur Beacon, where you can climb to the top to soak up some magnificent panoramic views of the area. Led by marine scientist/biologist Dr. Joe Richardson, Tybee Beach Ecology Trips offer valuable learning experiences about the island’s beaches and the local marine environment. These informative trips provide the opportunity to learn more about the wildlife of Georgia's beaches, its surrounding barrier islands, and their unique coastal habitats. Sundial Charters provides a variety of ocean-going and land-based charters and tours, including dolphin tours, nature tours, inshore and deep sea fishing trips, and fossil excursions. Tours are headed up by Captain Heidt, who has over 20 years of experience exploring and working on the waters of coastal Georgia and guarantees to give you an unforgettable tour, whether you are watching playful dolphins frolic in the water or sports fishing off the coast in deeper waters. One of the unique tours offered is that of fossil hunting, which involves hunting for fossils (think Megalodon and Cappeberra teeth) on the bed of the Savannah River and learning more about the rich history of the area’s ecology as well as its local fauna and flora. 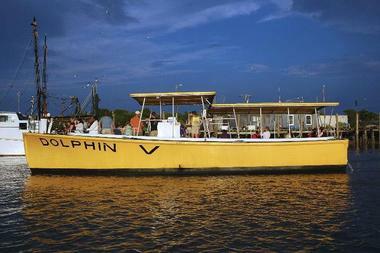 Captain Mike's Dolphin Tours is a family-owned-and-operated company that offers sunset cruises, dolphin tours, and inshore and deep sea fishing trips on the island of Tybee. 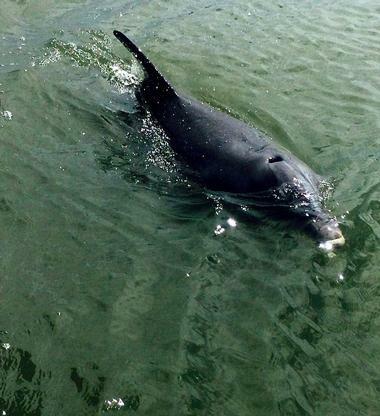 Established in 1992, the Captain Mike's Dolphin Tours is renowned for their fantastic dolphin trips, which give visitors the opportunity to watch bottle-nosed dolphins frolic and play in their natural environment. Cockspur Island lies near Lazaretto Creek in the south channel of the Savannah River and falls within the boundaries of the famous Fort Pulaski National Monument. The island is also home to several attractions, the Cockspur Island Lighthouse being one of them. 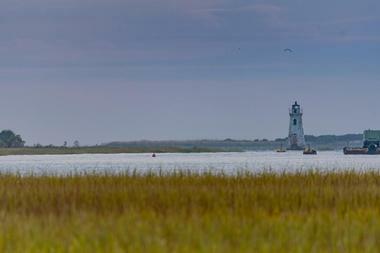 Built in 1855 on an oyster bed foundation, the Cockspur Island Lighthouse once acted as a beacon to warn ships of the rugged coastline, and it survived direct line of fire in the American Civil War. Visitors can view the island from a distance. 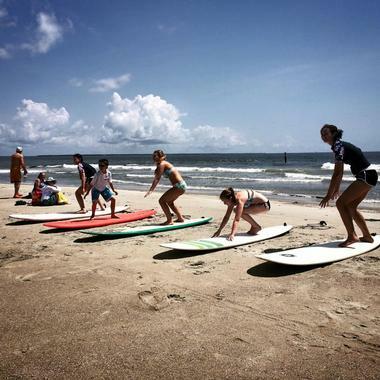 Tybee Surf Lessons, a surf school owned by Turner "Bigbird" Horton, offers private surf lessons, group lessons, and surf camps. Lessons are given by nationally certified and highly skilled instructors and cater to all levels from beginners to advanced surfers. 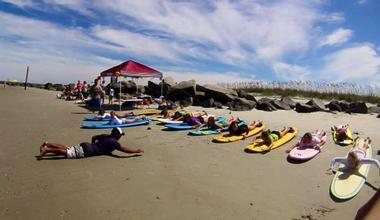 Lessons take place near the North Jetty and consist of a beach session, discussing ocean safety, and learning basic surfing techniques, followed by a warm-up and session in the water. Lessons need to be booked in advance, which can be done online.